Melbourne’s Archbishop has vowed to support a priest stood down from public ministry in two inner-city parishes over alleged failure to comply with child safety laws. Source: Caulfield Glen Eira Leader. In a letter to parishioners and parents, Archbishop Comensoli also confirmed the Church was not planning further civil action against Fr Newton. Fr Newton took administrative leave on June 6, at the request of then-Archbishop Denis Hart, after several parishioners raised allegations with the Commission for Children and Young People. The nature of the complaints has never been disclosed, but prompted a lengthy independent investigation about alleged professional misconduct by Fr Newton. The investigation was dogged by delays, including the Archbishop’s visit to Rome last month. In a letter sent to parishioners and parents this week, Archbishop Comensoli said no further civil action would be taken against Fr Newton. “No further civil action will be taken at this time,” the Archbishop wrote. He defended the lengthy investigation time and lack of detail publicly revealed. 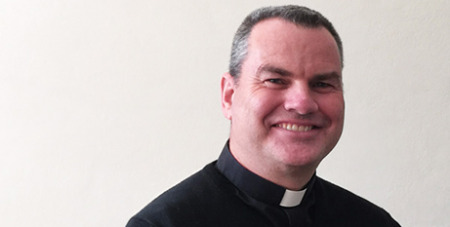 A stand-in priest will conduct public ministry in the Ormond and Murrumbeena parishes, he said. It is not suggested Fr Newton has been accused of being a danger to children.